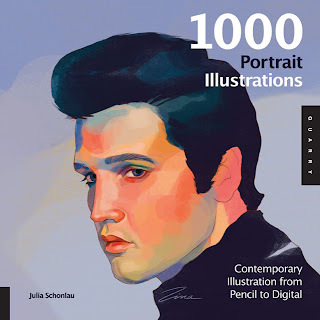 A selection of my portraits features in a new coffee table volume of portrait illustrations, published by Quarry Press and edited by Julia Schonlau. The book showcases a full range of styles and approaches in contemporary portraiture, from hand-rendered to digital, and from photo-real to experimental. The book also features the talents of many other illustrators I admire - among them Anje Jager, Asako Masunouchi, Paul Blow, Marcus Oakley, Kate Copeland, Charles Williams and Stuart Whitton.